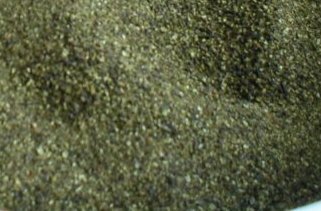 Kelp Meal organic fertilizer is made from ocean seaweed or rockweed Ascophyllum nodosum. This is not the kelp that washes up onto the beach. It's harvested in the oceans. 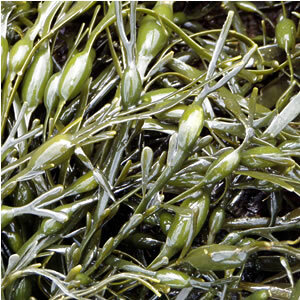 It provides a good source of potassium and a small amount of nitrogen. KM, while improving soil fertility, significantly improves overall soil health. It does all this by proving many minerals and other elements that stimulate the soil microorganisms in your organic garden. KM is a unique organic fertilizer and should be included in your fertilizer program. Its good stuff! What's amazing about KM is that it contains a small amount of plant growth regulators (PGR) which can improve the health of your organic crops. Plant growth regulators will to some extent reduce plant growth, but it also enhances crop (leaf) density, color and overall quality. In addition, there has been some research that shows PGR can increase a plant's stress tolerance. In semi-arid regions this is important.